I absolutely love this red QOV made by Joan! As soon as I saw it, I knew I would use Candy Apple Red Glide thread on this. I chose a pantograph called Sumptuous. It gives a lot of texture without taking away from the pieced design. It’s really hard to get pictures of a solid red back! Cette courtepointe me plait beaucoup, d’autant que le rouge est une couleur que j’aime beaucoup travailler en patchwork. J’aime les vagues du quilting. En bref, tout y est pour me plaire. Great quilt-I like the pattern, and the quilting design. 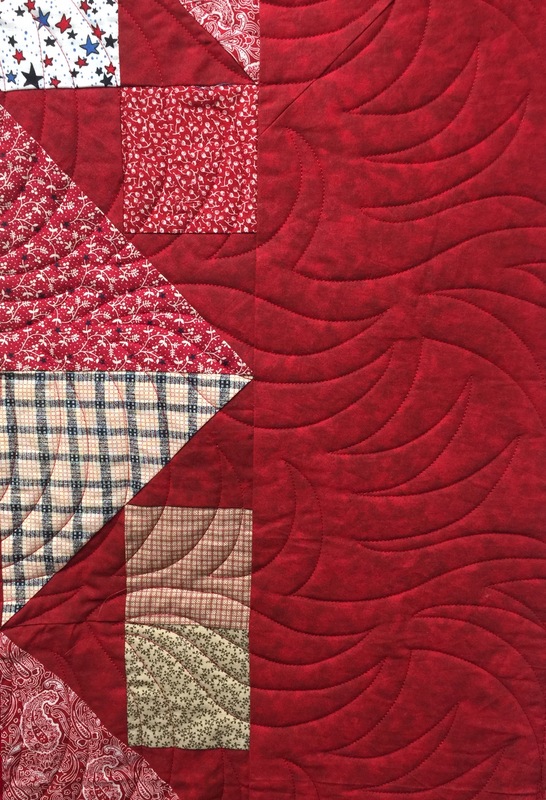 I agree, the movement in the quilting compliments the piecing. Thanks for linking to Design Wall Monday. That is a great panto! I love all the movement. What a terrific design! Your quilting pattern enhances it. Oh that is very pretty! Love that setting! And of course the quilting is wonderful. You are so productive! Fabulous combination of quilt pattern and quilting. It makes for a striking Quilt of Valor. Wow, that looks great Katy. 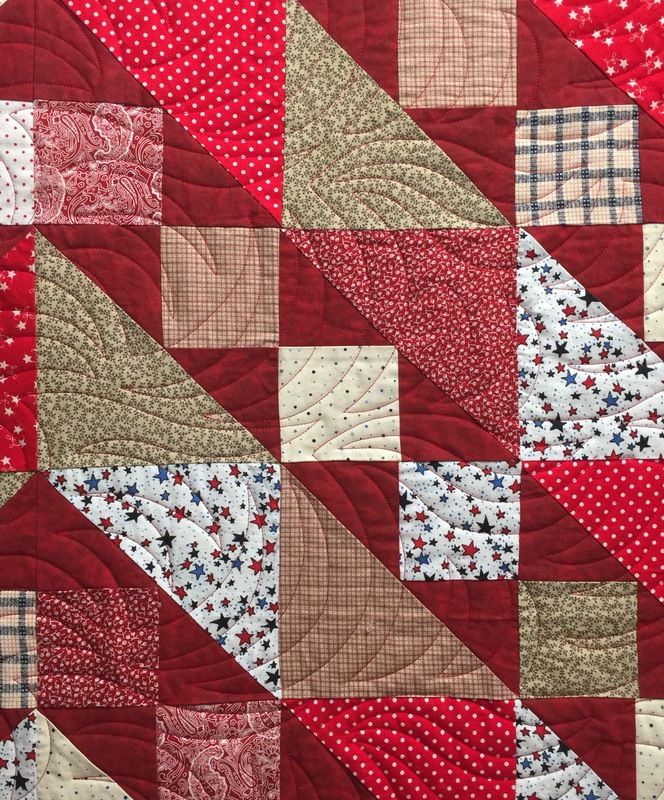 As usual, Joan hits it out of the park with another great scrappy quilt. She is constantly amazing us with what she can do with scraps. What a beautiful quilt! 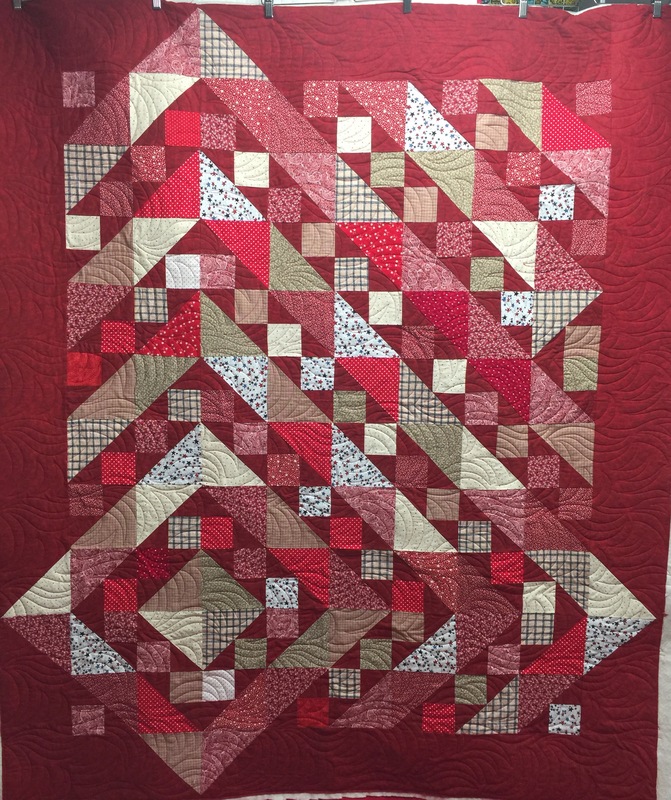 Love all the red and the quilting design is perfect. 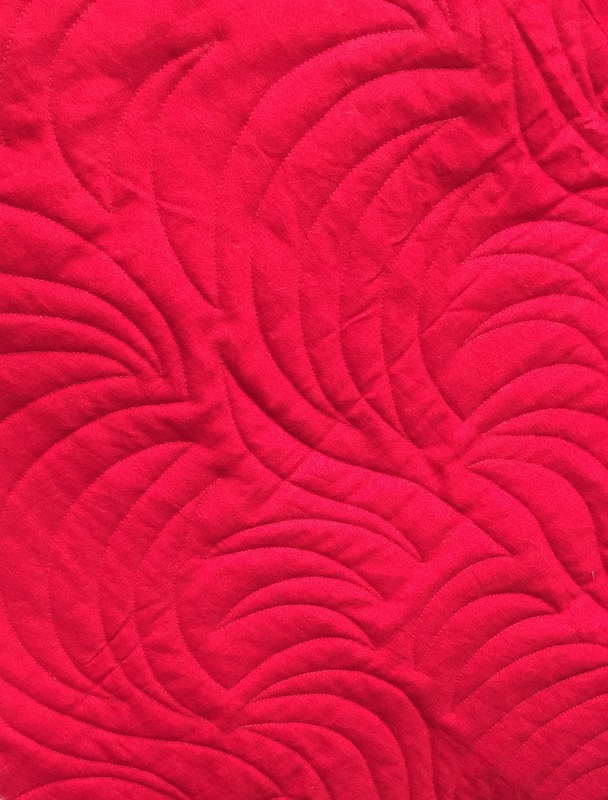 It is a gorgeous quilt, love all the deep reds and the quilting is just right for it also. That red is very pretty, and I like the design you chose. Nice! I’ve made that design before and it is one of the few I would make again and again as a gift quilt – it is SO well received! I love the pattern…very interesting. Good choice on the quilting and thread. OH wow! I love this design and it just pops in the reds. Your quilting finishes it perfectly. What a beautiful quilt! It must be fun to see all that creativity and get to add to it! You are a blessed lady!